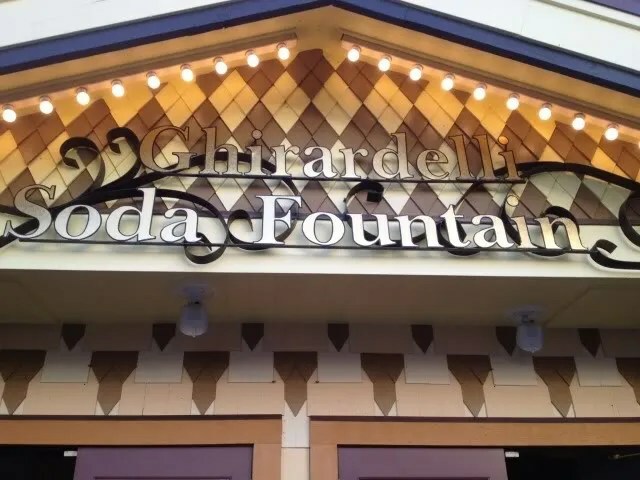 Now ever since Paula (smile4stamps) introduced me to this sundae while doing a live review from Disneyland, I knew that I had to try it. 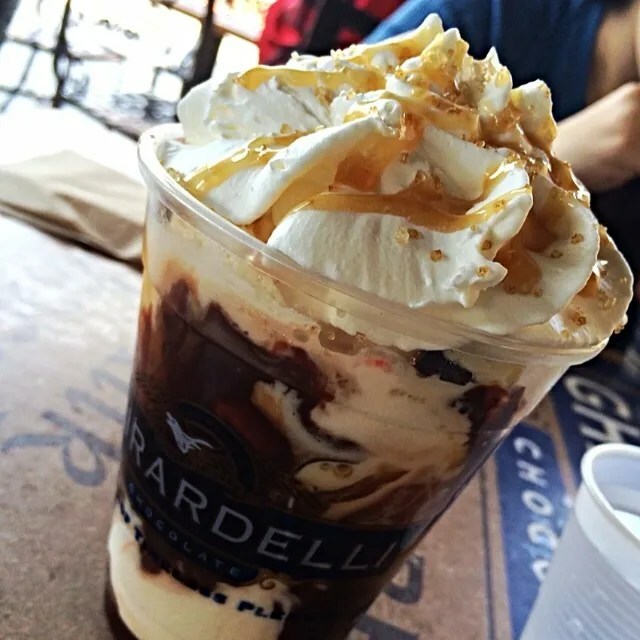 Sea Salt Caramel Sundae – Vanilla ice cream smothered with creamy caramel, freshly homemade hot fudge and sea salt. 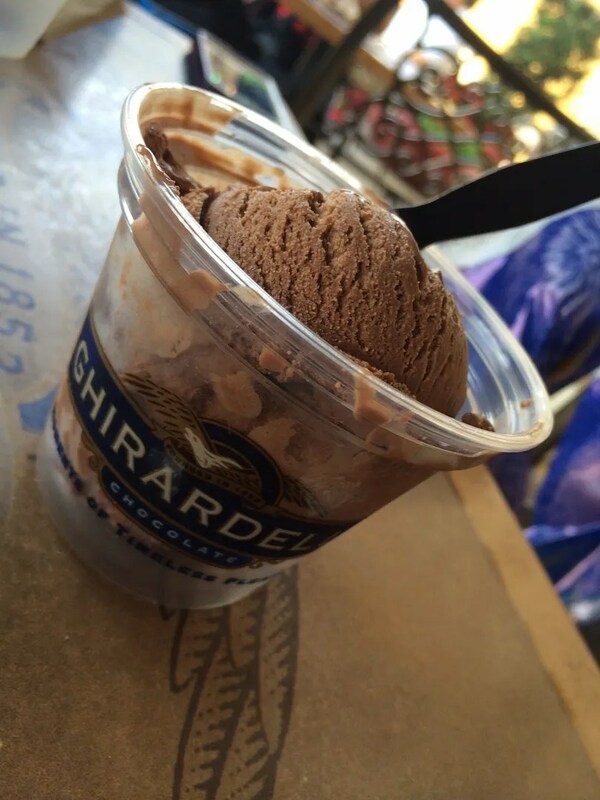 Perfectly topped with whipped cream, creamy caramel, sea salt and a Ghirardelli SQUARES® Milk Chocolate. This was incredibly delicious!!! 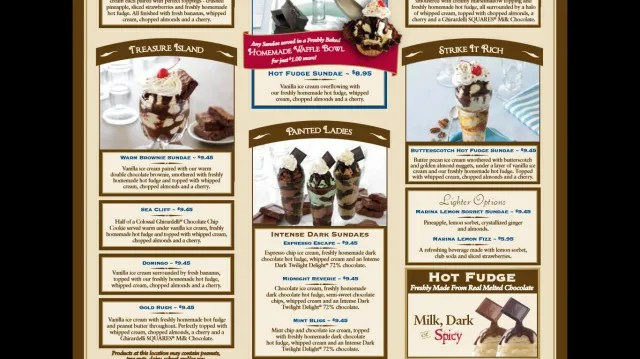 It definitely challenges the No Way Jose for my favorite Disney World ice cream treat. 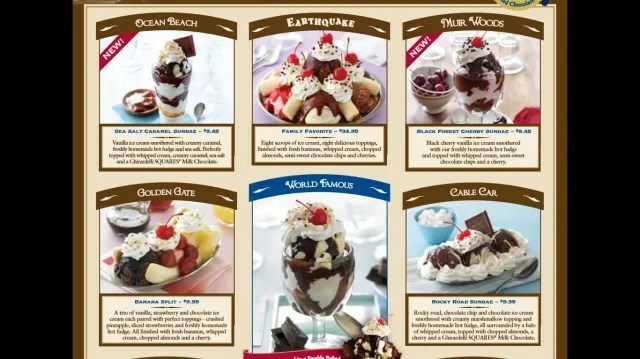 Since I haven’t had a NWJ in nearly 2 years, I think a visit to Beaches & Cream is in order during my next trip so that I can refresh my memory and properly declare a winner. Now I just need to figure out where to fit it into my busy dining schedule. 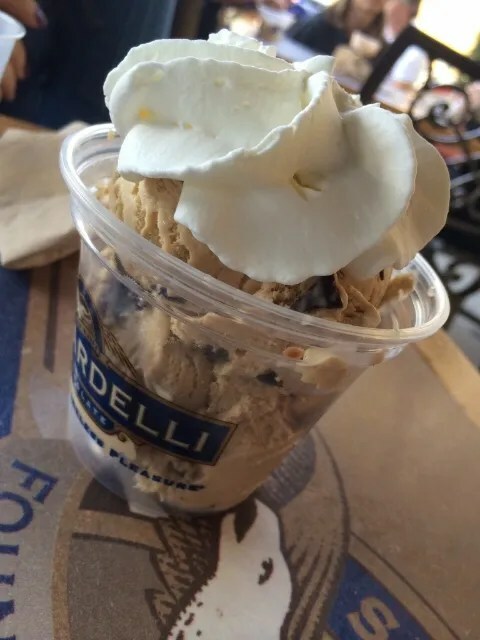 But anyway, if you are like me and love salted caramel, then I highly recommend giving this Ghirardelli sundae a try. Emily was a little boring here and went with just chocolate cookie dough ice cream topped with whipped cream. Chocolate chip cookie dough is her favorite ice cream and she said this one was very good. Her friend was even more boring than Emily, as I think she just went with chocolate ice cream and even skipped the whipped cream.